but with partnerships, we can achieve more. Strategically partnered with industry leading professionals. The United States Sports Academy has strategically partnered ourselves with other industry leading organizations to offer a variety of professional development options. Whether you need CEUs for attending a partner’s conference, or are looking for options to earn CEUs for re-licensing, the Academy has a range of programs and partnerships designed to fit the needs of every level of athletic professional. The American Football Coaches Association (AFCA) is the only national organization solely dedicated to improving football coaches through ongoing education, interaction, and networking. Its primary goal is to provide resources for personal and professional development amongst the football coaching profession. The AFCA membership includes over 11,000 members and represents coaches and several stakeholders within the game of football. Any high school, junior college, international, semi-professional or professional football coach is eligible to become a member of the AFCA. The Academy partners with AFCA, and members who attend the annual convention earn 1 CEU credit for every 10 hours of convention sessions for up to the last three conferences attended. Founded in 1978, the National Strength and Conditioning Association (NSCA) is an international nonprofit educational association serving nearly 30,000 members in 52 countries. As the worldwide authority on strength and conditioning, the NSCA disseminates research through practical application in support of its mission to improve athletic performance and fitness. Students seeking CEUs towards re-certification with the will register with the Academy under the courses CER 525 Sports Strength and Conditioning (4 CEUs) and CER 526 Personal Training (4 CEUs). $25 Discount on CSCS® and/or the NSCA-CPT® Exam Registration Fee Available To All Academy Students. 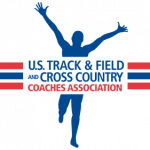 The United States Sports Academy is in partnership with the U.S. Track and Field and Cross Country Coaches Association (USTFCCCA) to offer Continuing Education Units (CEUs) to students who successfully complete USTFCCCA courses that are approved by the United States Sports Academy. Since 1920, The National Federation of State High School Associations (NFHS) has led the development of education-based interscholastic sports and activities. It provides a variety of program initiatives that reach 18,500 high schools and over 11 million students involved in athletic and activity programs. The NFHS offers the option of credit in the form of Continuing Education Units (CEUs) to coaches who have completed NFHS courses. The United States Sports Academy continues its partnership with the National Federation of State High School Associations (NFHS) through offering bachelor and master semester hours, and Continuing Education Units (CEUs) to coaches who successfully complete NFHS courses that are approved by the Academy. 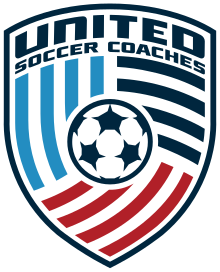 The United Soccer Coaches (USC) association is the largest coaches’ organization in the United States. Founded in 1941, it has grown to include more than 30,000 members. The USC provides coaching education through a nationwide program of clinics and week-long courses, teaching more than 4,000 soccer coaches each year. The USC has developed a partnership with the United States Sports Academy to offer Continuing Education Units (CEUs) for candidates who have successfully completed selected USC courses. Established in 1928, the National Wrestling Coaches Association (NWCA) is a professional organization dedicated to serve and provide leadership for the advancement of all levels of the sport of wrestling with primary emphasis on scholastic and collegiate wrestling programs. As a CEU provider partner, the Academy offers CEUs to NWCA members who have completed certain NWCA coaching development courses. The United States Sports Academy, in cooperation with the National Wrestling Coaches Association (NWCA), is pleased to offer you the opportunity to advance your career by attending approved NWCA Convention or seminars. For only $75.00, you can earn (2) CEUs by participating in twenty clock hours of scheduled sessions or official events over the course of the Convention.